Long a powerhouse and driving force behind the shift to cloud technologies, it seems the attraction to big public cloud providers, like Amazon Web Services (AWS), is waning. Both Dropbox and Netflix have made moves to leave the cloud giant for other, newer upstarts, leaving many to wonder what the state of the industry is for the coming years. One thing, however, is certain, and that is the clear benefits of cloud hosting will remain true. So why the shift and where are businesses moving to? Amazon Web Services is not alone in this requirement. Businesses like Google and Apple are also known for “not playing well with others.” And while quality control is an understandable demand for providers, this can also be a burden on the users. Businesses who choose to utilize big public cloud providers for their cloud hosting requirements soon find themselves with a talent problem. So wide and deep is the amount of knowledge needed to manage one of these solutions that specialized certifications needed to be developed. And the certifications are not free, often requiring a significant expense on the part of the business or individual who wishes to use the platform. ServerPronto University reported that it could cost upwards of $475 per developer just for the initial training in addition to the $25 a month per developer to maintain and update their knowledge. Developers who have this certification also demand significantly higher salaries, according to the same ServerPronto article, ranging from $108,000 for a certified SysOp Admin to $137,000 for a certified developer. Countless, major businesses have fallen victim to the complexity of managing a big cloud provider solution. Verizon, Accenture, Uber and Time Warner Cable are just a few businesses with large IT budgets and staff to fall prey to the complexity, leading to data being unintentionally accessed. While some of these were not malicious, it does show the risk that can be present with a system that is so complex it requires in-depth training to know how to properly use the platform. Big cloud provider customers often find themselves with sticker shock after receiving their first bill. A large part of this comes from the structure of the pricing. Big cloud providers charges for any outbound byte of traffic, and sometimes movement within their own cloud. Additional fees are charged for VPN connections, and because of the structure, the scalability of VM’s is expensive. This is due to the requirement that customers scale horizontally instead of vertically. What do these different arrangements mean? A horizontal model means you can only add so much CPU, memory or disk space to a virtual machine before you need to add another virtual machine to handle your workflow. The result is the performance of the servers are capped, requiring consumers to purchase more VMs to achieve similar performance from providers who use vertical scaling. dinCloud, for example, outscales big cloud providers vertically by over 2 times the amount for CPU, 5 times for memory, 50x on disk space, and 4-10x on network capacity. dinCloud also uses best-in-class infrastructure from Nutanix and Citrix to power our virtualization technology enabling you to achieve a much higher level of performance and reliability. Add to that, our flat-rate pricing, which means you know what your monthly services bill will be. Security – dinCloud offers several levels of security layers including encryption at rest and in-transit, perimeter, network, and host security and many others. You can see more of our security protocols here. 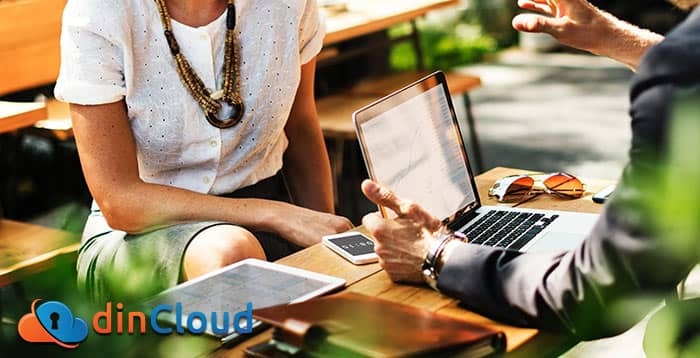 24/7 Support – Moving to the cloud can put you on the path towards increasing productivity and efficiency of your staff, but with it can come some challenges. Regardless of your level of IT knowledge, dinCloud has 24×7 support with the goal of responding to every request within 20 minutes. 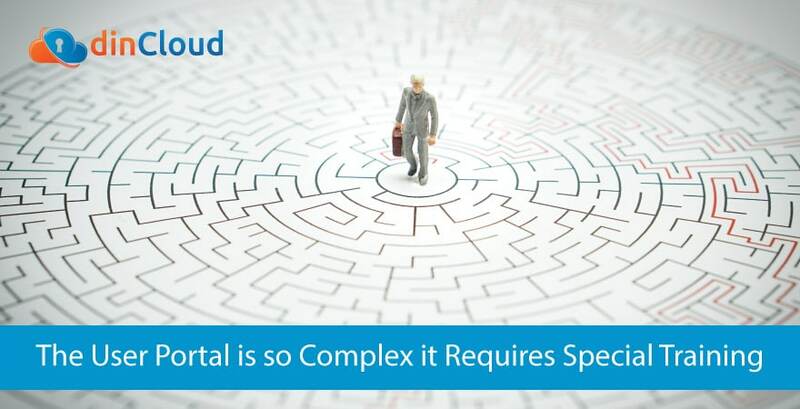 Managed Services – Sometimes you just don’t want to worry about managing your cloud solution. We can help with various levels of managed services support to give your business just the right amount of support needed so you can focus on growing your business, not keeping the technology up and running. Start your path to success with dinCloud today. Find out how.